Global technology leader Xiaomi revealed that its premium flagship Mi MIX 3 smartphone will be available in the Philippines for P29,990. 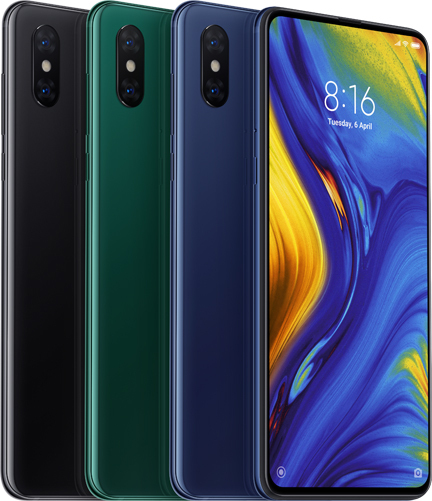 The Mi MIX 3 will come in Sapphire Blue, Emerald Green, and Onyx Black with the 6GB + 128GB variant. Mi Authorized Stores started selling the Mi MIX 3 last Dec. 19, while Lazada began accepting pre-orders for its Dec. 21, 2018 sale. Customers who will purchase the devices at Mi Authorized Stores will get cool eco-products and t-shirts. First 20 customers will get earphones while the rest get power banks. On the 20th, customers who will pre-order at the Mi Authorized Stores will get Mi Casual Daypacks. Meanwhile, those who will pre-order on Lazada should stay tuned for special surprises. “Xiaomi has constantly pushed boundaries in technology and art. As we launch the Mi MIX 3 in the Philippines, we are continuing the tradition of building innovative devices that exceed people’s expectations of what a smartphone should be,” said John Chen, Regional Director for Southeast Asia. Mi MIX 3 is the newest device in the company’s award-winning Mi MIX series. It merges technology and art, sports a beautiful ceramic back, and has an extreme 6.39” full screen display made possible by an innovative magnetic slider design. The slider design not only creates space for front cameras and antenna, but also allows for the maximum full-screen display. Mi MIX 3 employs a 6.39-inch, 2340 x 1080-pixel FHD+ Samsung AMOLED display with an aspect ratio of 19.5:9. Its bezels have been further reduced from the its predecessor to achieve an extremely high screen-to-body ratio. Mi MIX 3 features a 12MP + 12MP rear dual camera that uses the same sensors as Mi 8. To further improve low-light performance, Xiaomi introduced a steady handheld night photography mode in Mi MIX 3, bundling various useful software features. Coupled with the rear camera’s 4-axis OIS, Mi MIX 3 is Xiaomi’s best smartphone for low-light photos to date. The rear dual camera also features 4K video recording and 960 fps slow-motion video capture. The 24MP + 2MP front module sports a Sony IMX576 main sensor that can capture more details than ever before. In low-light conditions, the sensor uses Super Pixel technology to combine the information of four pixels into one 1.8µm large pixel, greatly improving clarity. The secondary 2M sensor captures depth information to facilitate an AI bokeh effect. Mi MIX 3 continues the series’ tradition of using unique materials with artistic design, adding a new Sapphire Blue version inspired by Chinese ceramic crafts. These ceramic pieces are renowned for their beauty and were meticulously made using a complex production process with very precise temperature control. For the first time, Xiaomi added a dedicated AI button to the left side of the phone. Users can wake Google Assistant by holding the AI button and customize one-click and double-click to perform different functions. Mi MIX 3 also supports Qi standard wireless charging and comes with a 10W wireless charger.